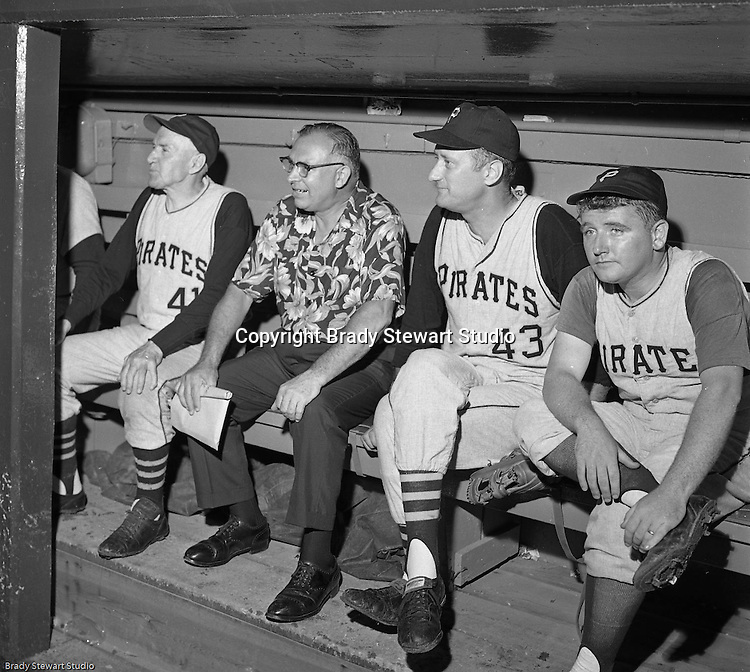 Pittsburgh PA: View of the dugout during the 1966 HYPO (help young players organize) Game between the Pittsburgh Pirates and Milwaukee Braves. Celebrities include: Pie Traynor (far left), Pirate Pitcher Jim Weaver and Radio Personality Bill Hillgrove. At this time, Bill Hillgrove worked for KDKA Radio FM 93.7 the Fan. Before the game, the Pirate Old Timers played a few innings against local TV and Radio personalities.